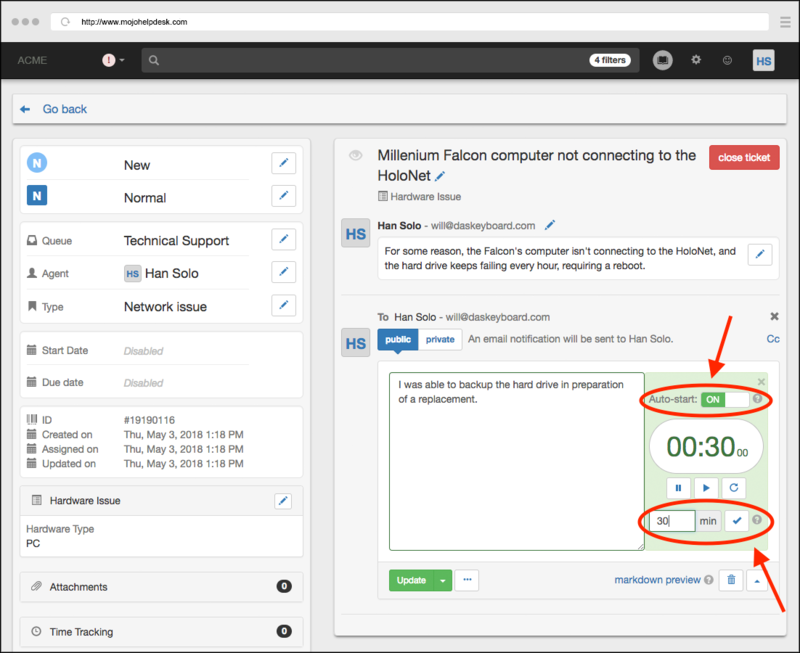 The time tracking feature in Mojo Helpdesk is a really great way to add time spent working on tickets. More importantly, the reporting feature can really help improve queue efficiencies. 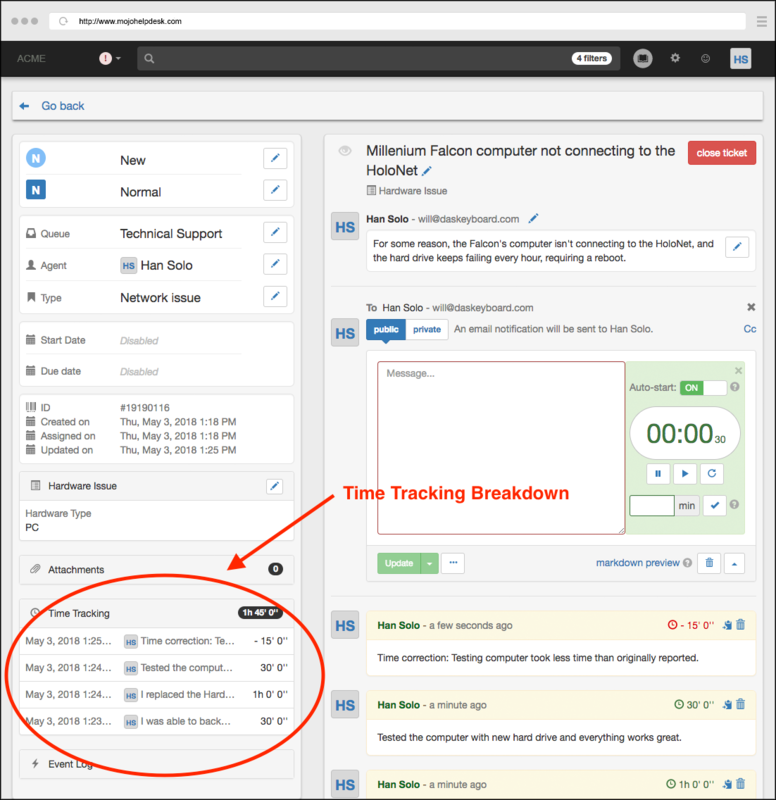 Tracking time with Mojo Helpdesk is really simple. It takes him 30 minutes to backup the computer, 60 minutes to replace the hard drive, and 30 minutes to test the computer. As you can see, he’s able to add three separate entries for each sub-task, and see the total time and breakdown on the left. You can also see from the breakdown that Han was able to add a negative time correction when he realized he overestimated the amount of time it took to test the computer. 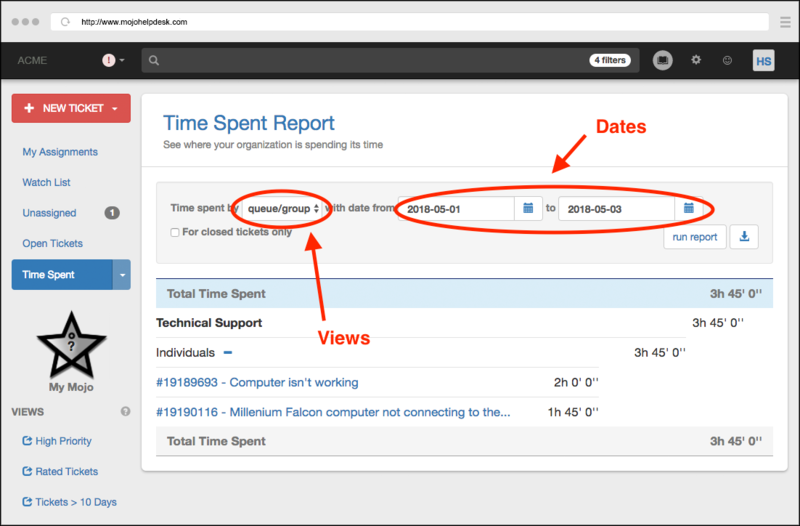 Now Han can view the time spent reports by selecting the “Time Spent” option from the dropdown menu in the main screen. 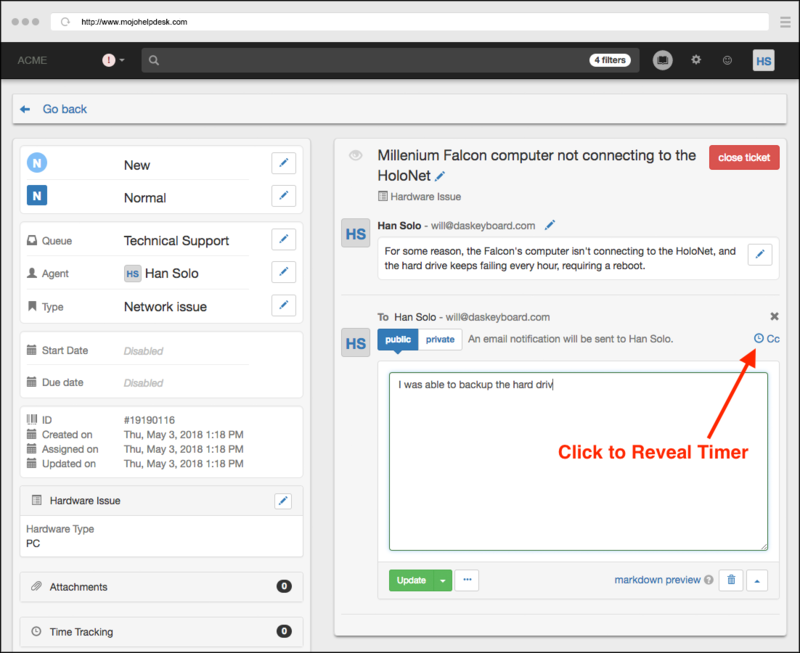 From this report, Han can select different views or options to look at the time spent. He can break it down by the group, agent, queue, and ticket, as well as select specific date ranges. In this example, he’s looking at the queue and the agent, which breaks down all the time spent for each queue and each agent that worked the tickets in the queue. This is a great way to identify queue inefficiencies and address them right away. And with all his tickets tracked and solved, and his queues optimized, Han can go back to piloting the Millenium Falcon around the galaxy! 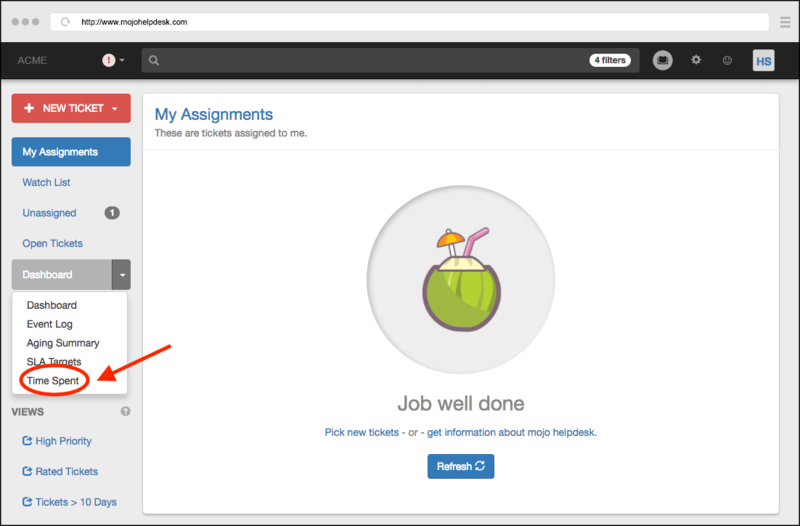 Check out our video tutorials for more details on tracking time spent on tickets in Mojo Helpdesk.